Request not to appoint Mr. Justice P.D. 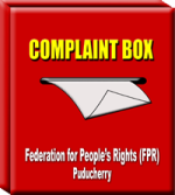 Dinakaran as judge of the Supreme Court of India – Federation for People's Rights (FPR), Puducherry. Memorandum submitted by the Eminent Lawyers of Madras High Court to the Hon’ble Mr. Justice K.G. Balakrishnan, the Chief Justice of India and other judges of Supreme Court of India requesting not to appoint Mr.Justice P.D. Dinakaran as judge of Supreme Court of India. iv) The villagers were then prevented access to these common property resources. Nearly 600 families of Dalits and landless poor in the village are reported to have sought distribution of Government poramboke and anandhinam lands to them as per G.O. (Ms) No.241 dated 12.09.2006 issued by the State Government. They are yet to receive the assignment. i) On the plot bearing Door No.28, East Park Road (junction of Pulla Avenue and East Park street), Shenoy Nagar, Chennai – 600 030 allegedly owned by the judge, an office/commercial construction has been put up consisting of stilt plus 5 floors, making it a multi-storeyed building under the development control rules. Having regard to the dimensions of the plot, fire safety requirements, etc, under the development control rules, construction of such a multi-storeyed building is illegal. This is a newly constructed building and he was frequently observed at the site to check the construction. Justice P.D. Dinakaran falsely stated that a “concession” was made by the counsel for the Income Tax department. This was objected to by the counsel after receiving the copy of the order. Justice P.D. Dinakaran promised to expunge those sentences that referred to the alleged concession but this was not done. Last week, the writ appeals filed by the department against this order have been allowed by the division bench presided by Justice F.M.Ibrahim Kalifullah. The standing counsel for the Income Tax Department offered to file an affidavit stating that she never conceded and also referred to the oral representation to Justice P.D. Dinakaran. The division bench has allowed the six writ appeals by imposing costs of Rs.10,000 each. R. Vaigai, Sriram Panchu, K.R. Tamizhmani, Anna Mathew, S.S. Vasudevan, Geetha Ramaseshan, Sudha Ramalingam, N.L. 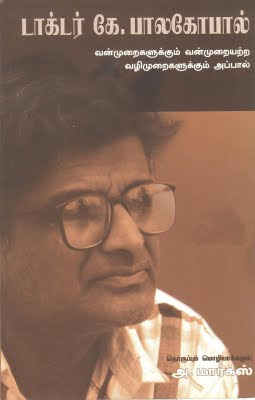 Rajah, D. Nagasaila, S.Devikarani, T. Mohan. Issues raised by l’affaire Dinakaran – V. R. Krishna Iyer. The need of the hour is to protect higher judiciary by preventing Judges like P.D. Dinakaran to be in the seat of the apex court. These forum should do more to enthuse confidence in the people and as well in the justice delivery system. In our democracy there is at least transparency in every organ other than judiciary. Right from judges appointment and even the appointment of clerical staff in the higher judiciary especially in Madras High Court there is no policy or ethics. This is dangerous for our growth. Hence I give my all support to all my brothers and sisters who gave this clarion call for judiciary act and as well decisively. THE PROCEEDINGS OF THE ENQUIRY AGAINST JUSTICE P. D. DINAKARAN SHOULD BE TELECASTED LIVE. WHEN THE LOK SABHA, RAJYA SABHA PROCEEDINGS ARE TELECASTED LIVE, THERE IS EVERY JUSTIFICATION TO TELECAST THE COURT PROCEEDINGS AND AFTER SEEING THE COURT PROCEEDINGS THE LITIGANTS WILL SETTLE THE MATTERS AS LITIGANTS ARE INTELLIGENT TO ASSESS THE KNOWLEDGE OF THE JUDGES AND THERE IS A CHANCE OF SLOWLY REDUCING CORRUPTION IN JUDICIARY. I FEEL THAT THE PROCEEDINGS AGAINST THE JUDGE SHOULD BE TELECASTED LIVE AND IT WILL GIVE A CLEAR PICTURE ABOUT THE FAIR ENQUIRY TO THE PUBLIC. CJ of karnataka P D Dinakaran seems to be unfit to continue as CJ.His elevation must be stayed.Impeachemnt motion must be carried out.There should not be any caste consideration in this issue. It is a good effort in cleaning the judiciary in India. This Judge has violated the decorum of his post. He has refused the orders of collegium to proceed on leave. He has refused to go to the High Court of Sikkim. In any other case of an employee of the Central or State Government or of PSU would have been suspended immediately on serious charges and initial proof. The demand by 72 MPs from Rajya Sabha and the orders in Dec 2009 by Rajya Sabha Chairman Hamid Ansari admitting an impeachment motion seeking removal of the 59-year-old Dinakaran as he faces allegations of corruption, land-grab, abuse of judicial office and disproportionate assets supports his removal till final findings.